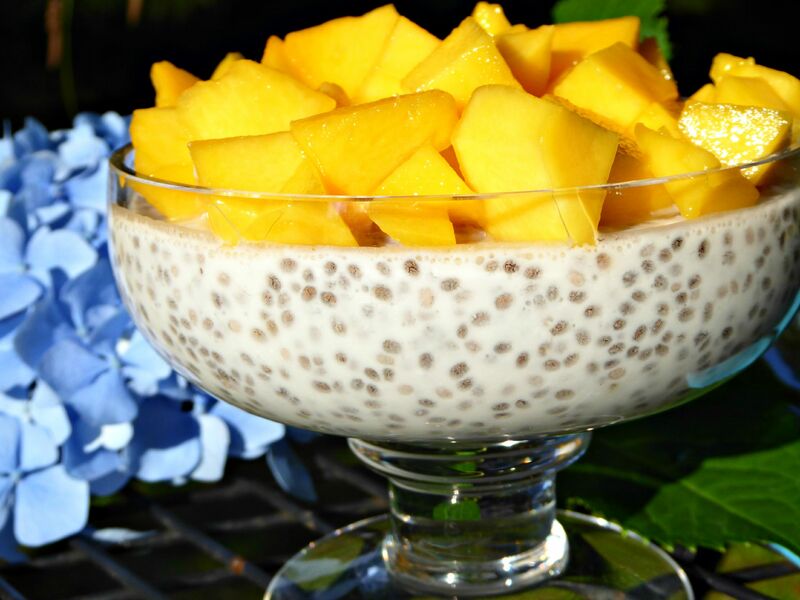 Chia: superfood or just overpriced tapioca? This is my new Sporty over Forty food series called Food Fads on Trial, where I’m going to be putting fashionable foods under the spotlight. 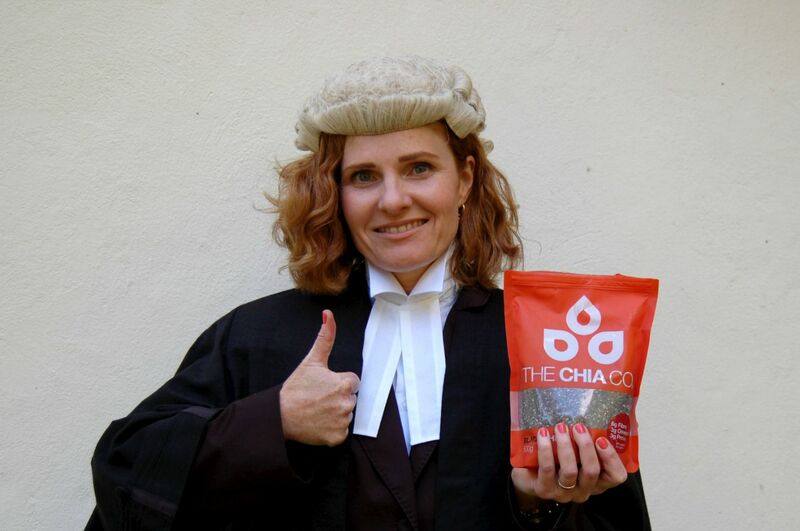 I chose chia to start with as it has been getting so much media hype over the last few years, which always makes me sceptical. It looks and acts suspiciously like our old school lunch friend, tapioca – remember the frogspawn puddings from your childhood? 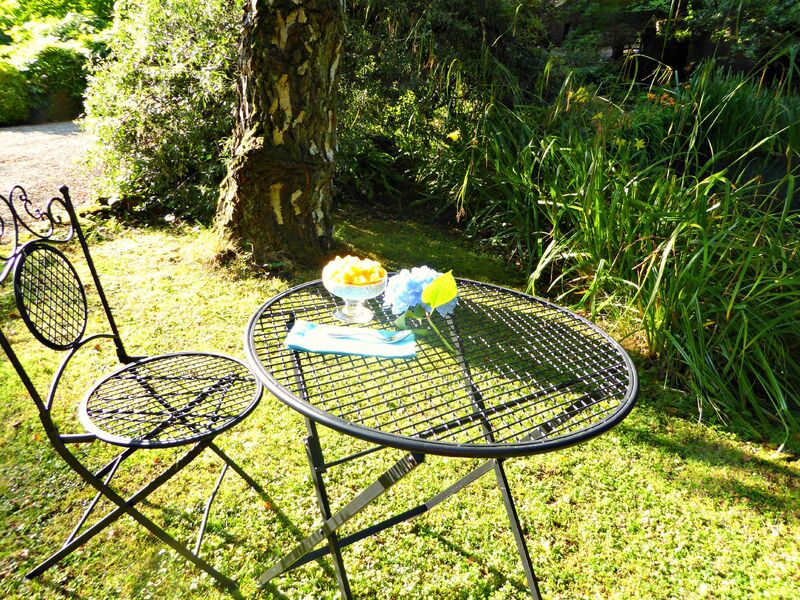 – so I wondered if chia really had more to offer. Chia, in case you’re wondering, is a seed that comes from a flowering plant native to Mexico and was a south American staple long before Instagram had ever heard of it. It absorbs up to 27 times its own weight in liquid, forming a hydrogel capsule that gives it that familiar frogspawn texture similar to tapioca. 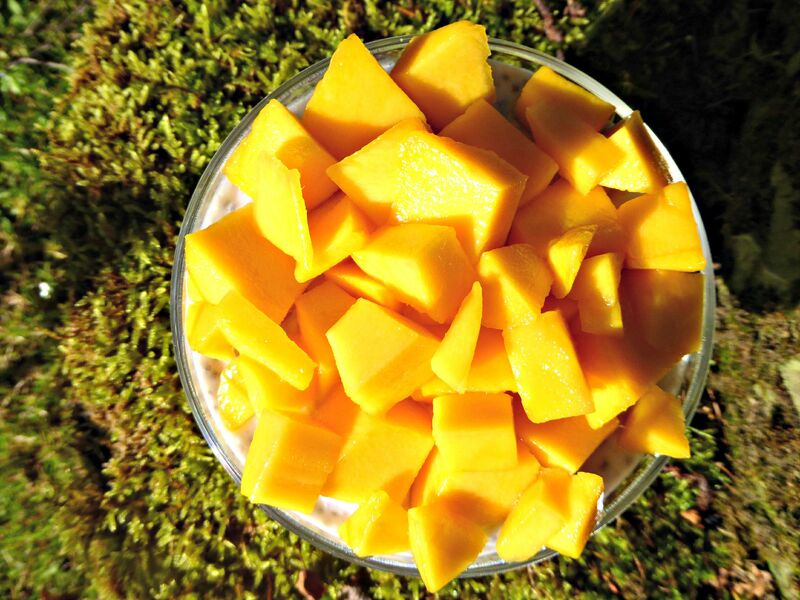 It is commonly soaked in different types of milk and made into puddings, and some people sprinkle it on other foods and mix it into smoothies. It sometimes comes ready-milled, sometimes sprouted, and the black and white versions are more nutritious than the red or small black types. 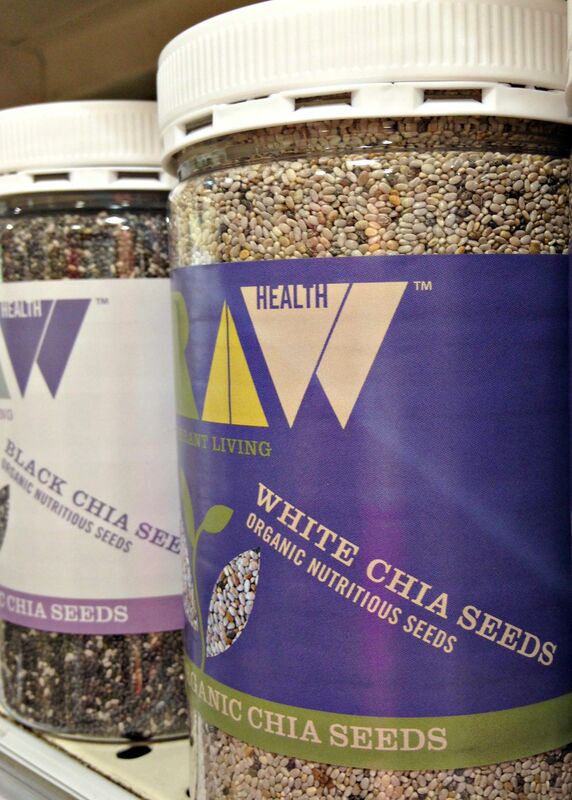 Cost: there’s no denying that chia isn’t cheap. A pouch containing just 150g costs £4 from one of the biggest UK supermarkets. It seems to cost a little less in the US – in Walmart you get a pouch about double that size for $4.48 – but certainly in the UK it’s a product found in the health sections and whole food shops and it’s at the pricy end of the scale. Its consistency isn’t to everyone’s taste. It’s a big bit gloopy and jelly-like. The protein content is rather overstated. A 1 oz (28g) serving contains just under 5g of protein, which is less than a serving of porridge oats. Not bad, but not especially high, either. It can potentially cause problems for anyone with dysphagia or oesophageal restrictions. 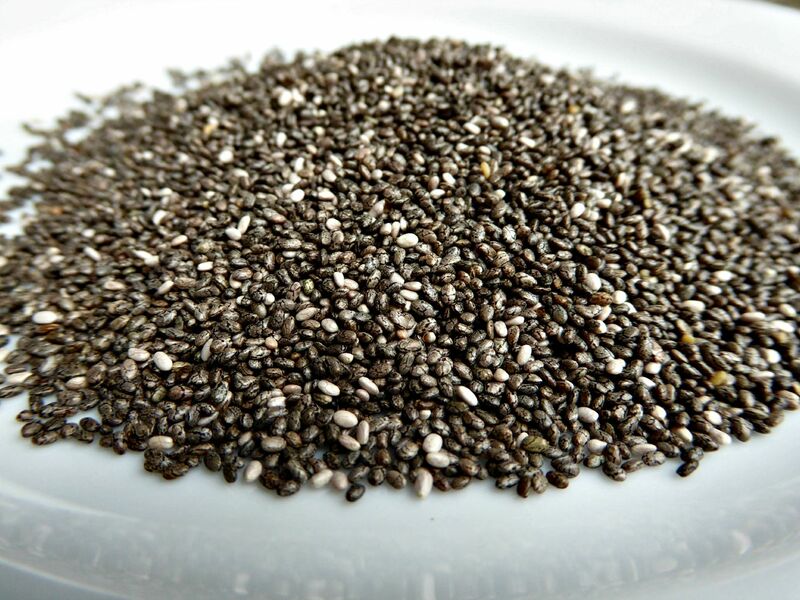 There is one reported case of a man with a history of allergies and dysphagia to solids suffering a blockage in his oesophagus after swallowing a tablespoon of dry chia seeds, washed down by water. Shudder. One salmonella outbreak in the US in 2014 was connected to organic, sprouted chia powder, all of which was recalled. Chia deserves its reputation as a nutritional powerhouse. In addition to 5g protein, a 28g serving contains a massive 11g fibre, 9g fat (of which 5g are those marvellous Omega 3s that are so good for us), 27% of our RDA of phosphorus, 30% of our RDA of magnesium and manganese and 18% of our RDA of calcium. It also contains useful amounts of zinc, niacin, potassium, thiamine and vitamin B2. Because of its fibre content, it is good for stabilising blood sugar levels and is being studied as a potential natural treatment for Type 2 diabetes. Best of all, it is incredibly filling and provides sustainable energy. 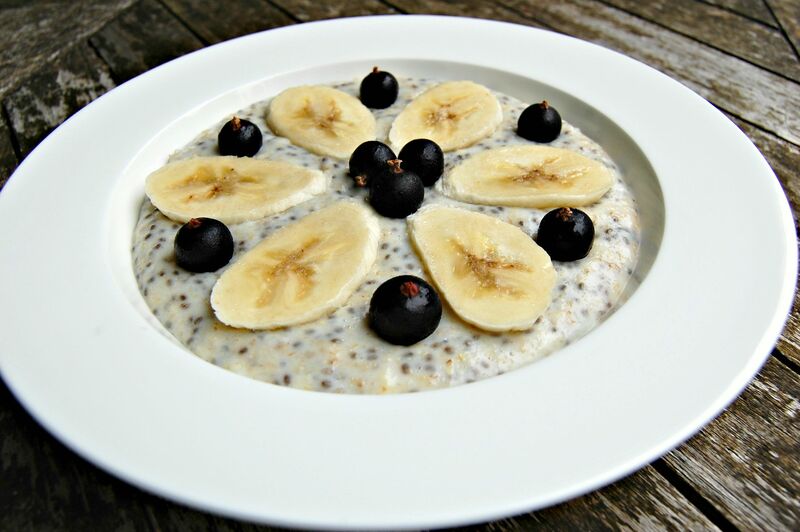 I tried this out for myself and have found that both as a porridge on its own or mixed with oats, it keeps me fuller for much longer than regular porridge. There’s no evidence that the salmonella outbreak was anything other than a one-off. 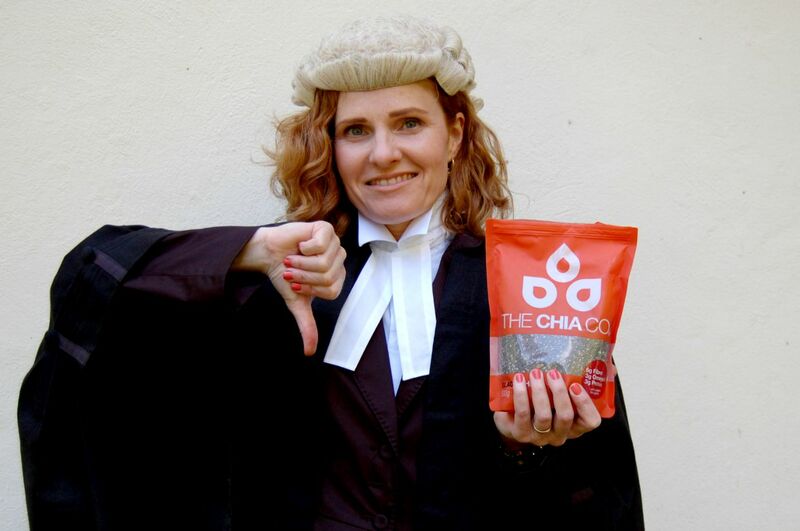 With some reluctance, I’m going to have to pronounce in favour of chia. There are some cautionary notes. I wouldn’t personally eat it dry, as I don’t like the idea of it swelling up in my stomach or anywhere else. But other than that, it’s just terrific. It’s really, really good for you and I happen to like the frogspawn thang. It also keeps you super-full for ages, which is great, especially if you work out a lot and are constantly hungry. 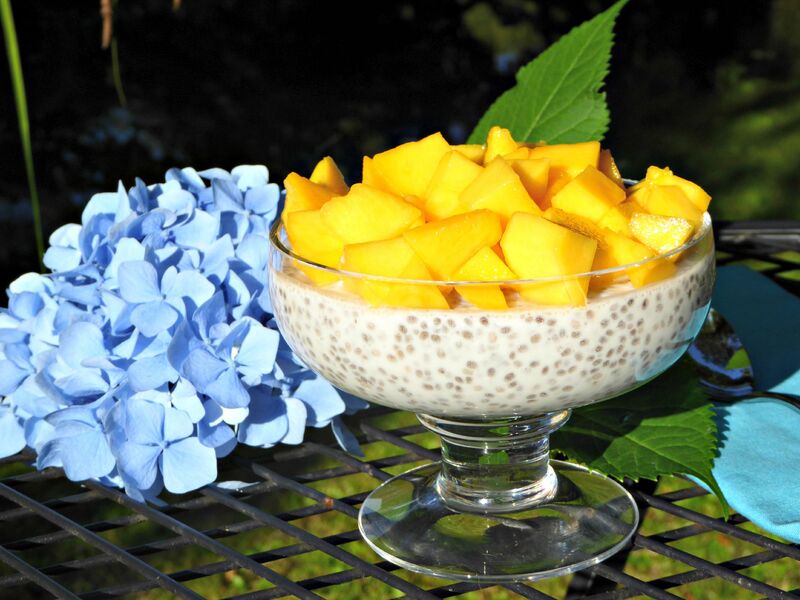 You’ll find hundreds of recipes online, but my two favourites are chia and oat porridge and coconut and mango chia pudding. 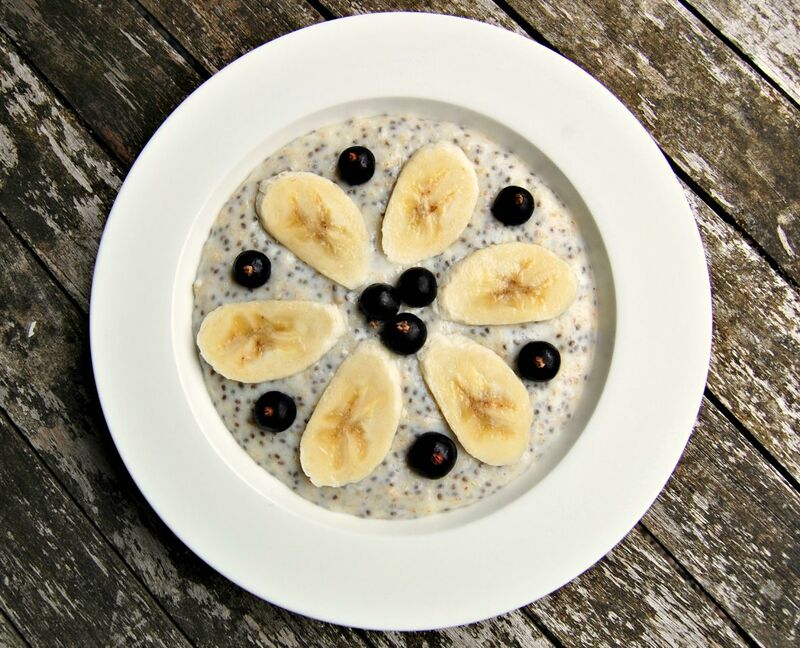 Put a tablespoon of chia seeds into a half-cup and fill the rest with porridge oats. Place in a pan and add 3.5 cups of milk. You can use fancy mylk if that floats your boat, but I just use good old semi-skimmed cow’s milk. Bring gently to the boil and simmer for about 7 minutes (much longer than regular porridge – you need this to cook the chia). 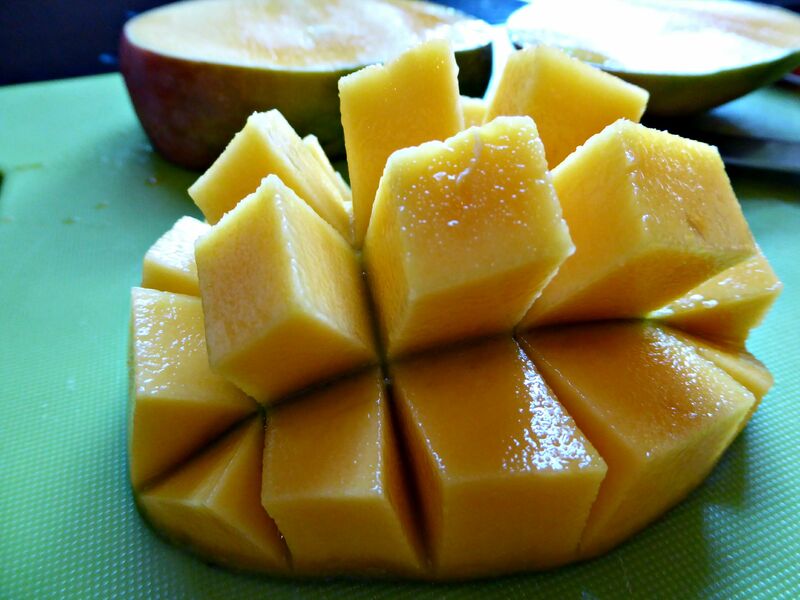 Serve with fruit / honey to taste. Mix together 1 cup coconut milk (I used half fat but regular coconut milk is fine) with 1/4 cup chia seeds, a dash of vanilla essence and 1 tbsp honey. Put in dish and leave overnight. 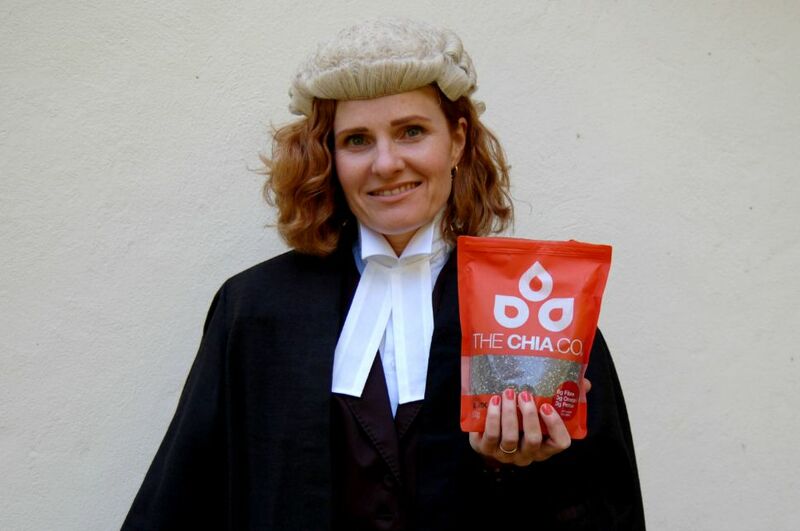 So tell me, what do you think of chia? Is it worth the money or is it just expensive frogspawn? Linking up with #MidLifeLuv link share.